So far, a total of 11 gravitational wave events have been detected over the course of about three and a half years. Ten of these were the result of black hole mergers while the remaining signal was caused by a pair of neutron stars colliding (a kilonova event). By studying these events and others like them, scientists have effectively embarked on a new era of astronomy. Located in Hanfrod, Washington, and Livingston, Louisiana, the two LIGO detectors consist of two concrete pipes that are joined at the base (forming a giant L-shape) and extend perpendicular to each other for about 3.2 km (2 mi). Inside the pipelines, two powerful laser beams that are bounced off a series of mirrors are used to measure the length of each arm with extreme precision. As gravitational waves pass through the detectors, they distort space and cause the length to change by the tiniest of distances (i.e. at the subatomic level). 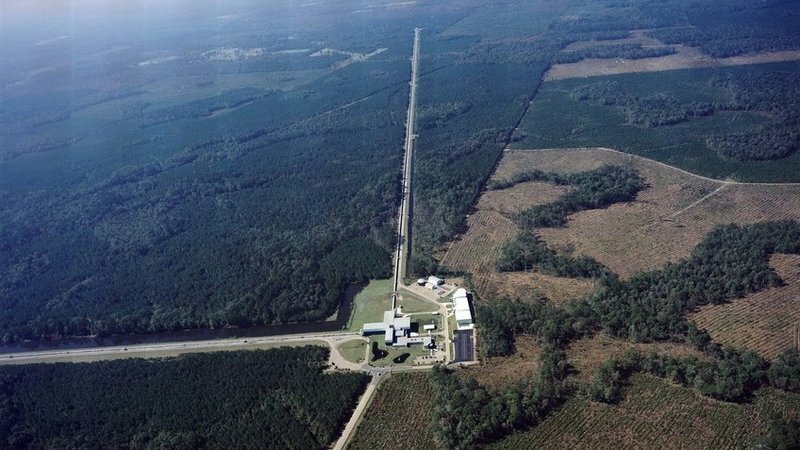 According to Joseph Giaime, the head of the LIGO Observatory in Livingston, Louisiana, the recent upgrades include optics that will boost laser power and reduce “noise” in their measurements. For the remainder of the year, research into gravitational waves will also be bolstered by the fact that a third detector (the Virgo Interferometer in Italy) will also be conducting observations. During LIGO’s last observation run, which lasted from November 2016 to August 2017, Virgo was only operational and able to offer support for the very end of it. In addition, Japan’s KAGRA observatory is expected to go online in the near future, allowing for an even more robust detection network. In the end, having multiple observatories separated by vast distances around the world not only allows for a greater degree of confirmation, but also helps narrow down the possible locations of GW sources. For the next observation run, GW astronomers will also have the benefit of a public alert system – which has become a regular feature of modern astronomy. Basically, when LIGO detects a GW event, the team will send out an alert so that observatories around the world can point their telescopes to the source – in case the event produces observable phenomena. This was certainly the case with the kilnova event that took place in 2017 (also known as GW170817). After the two neutron stars that produced the GWs collided, a bright afterglow resulted that actually grew brighter over time. The collision also led to the release of superfast jets of material and the formation of a black hole. Gravitational wave research is merely one of several revolutions taking place in astronomy these days. And much like the other fields of research (like exoplanet studies and observations of the early Universe), it stands to benefit from the introduction of both improved instruments and methods in the coming years.